The eye functions like a camera. 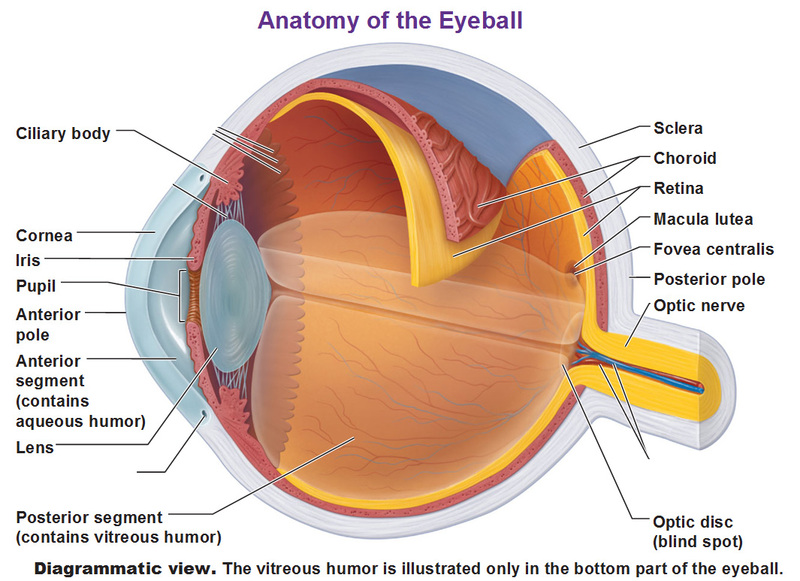 Light rays enter the eye through the cornea (the clear front window), pass through the pupil (the hole in the center of the iris), and then through the lens, finally reaching the retina (the film) at the back of the eye. When light rays land on the retina, they form an upside-down image. The retina converts the image into impulses that travel through the optic nerve to the brain, which converts them into upright visual images.